Breakfast in the Waterfront Restaurant, overlooking the River Barrow. Voted No.38 in the world – Things to do before you die (ROUGH GUIDES – Ultimate world experiences). Taking a canoe trip along this waterway should really be on everybody’s bucket list. 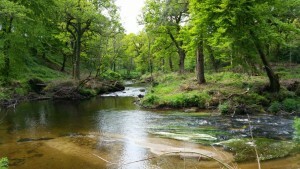 Take this stunningly beautiful canoe trail with ancient woodland and wildlife and nature in abundance. Travel along the old canal used by Guinness to deliver Ireland’s favourite tipple – watch out for kingfishers and Dippers. an act ofmindfulness and quiet meditation. 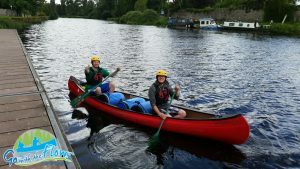 Your canoe and safety gear will be waiting for you at the Lord Bagenal Inn – take your time paddling southwards from Leighlinbridge down the River Barrow passing through Bagenalstown and then Goresbridge. 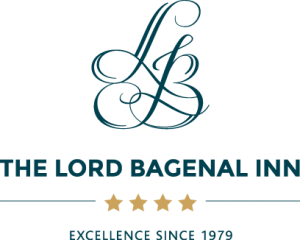 Tie up your canoe at Goresbridge and get a taxi back to the Lord Bagenal Inn where you can relax for the evening. Set in a contemporary building, this refined, art-filled hotel on the banks of the River Barrow is a 2-minute walk from Leighlinbridge Castle and 12.8 km from the Visual Carlow (contemporary art museum) & the George Bernard Shaw Theatre. 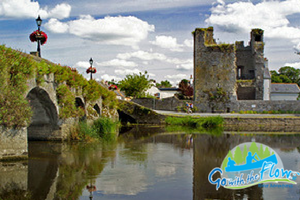 Local attractions also include Walsh Whiskey Distillery & Arboretum Lifestyle & Garden Heaven. The sophisticated, understated rooms offer: free WiFi, flat-screen TVs, designer toiletries, and tea and coffee making facilities. Select rooms also have claw-foot baths and/or river-views. A La Carte Menu is available daily in the relaxed bar area or Lord Bagenal restaurant. Breakfast the following morning is served in the Waterfront Restaurant overlooking the River Barrow. adventurous yet luxurious break away!